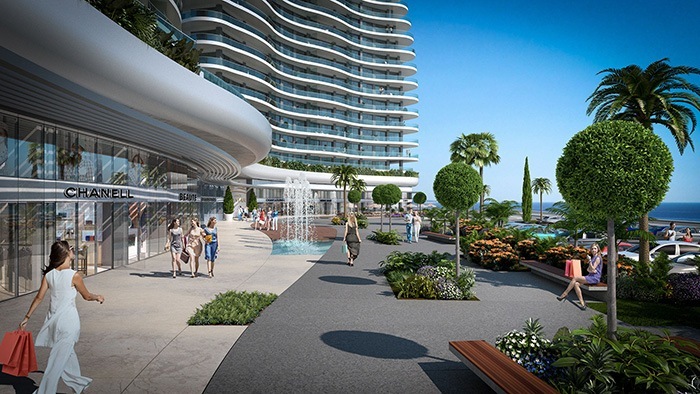 Limassol Del Mar offers exclusive seafront properties located in the 27-story building. 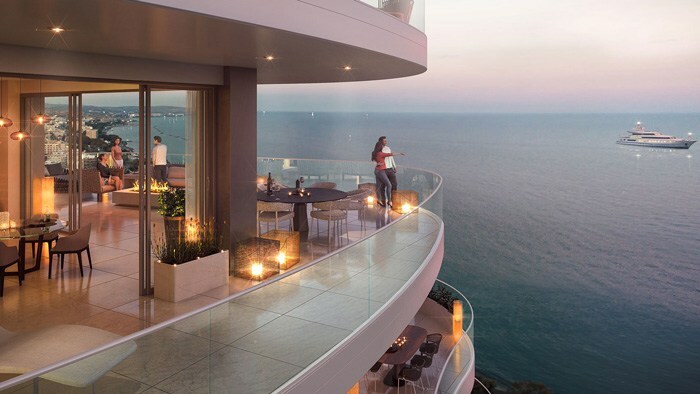 The combination of its privileged view, which is unobstructed along the coast of Limassol from one side to the other, with the high specifications that carry the signature of renowned international fashion houses, set the quality standards of the exclusive project even higher. Set on Limassol’s stunning shoreline and surrounded by tranquil landscaped gardens, generous terracing, and pretty outdoor pools, these luxuriously finished apartments are the perfect destination for relaxing and unwinding. 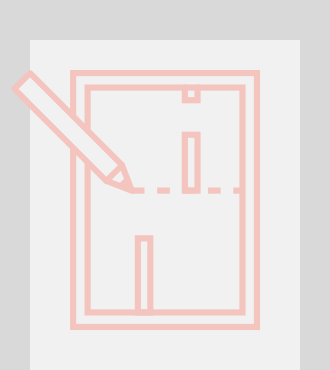 Ara Design International has undertaken the interior design of Buildings A and B. 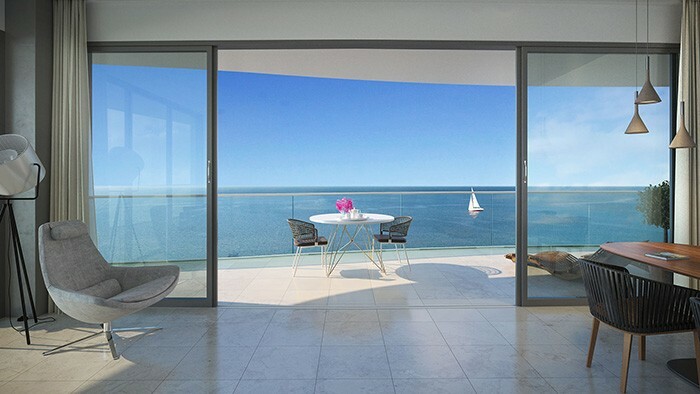 The large balconies of apartments by the beach will offer never-ending views while full height glazing will seamlessly merge the interior with the exterior, adding to the immense sense of space. And that will be the source of inspiration for Ara Designers in order to bring the Mediterranean breath into all of the seafront properties. Exceptional development showcases both architectural originality and cosmopolitan personality. 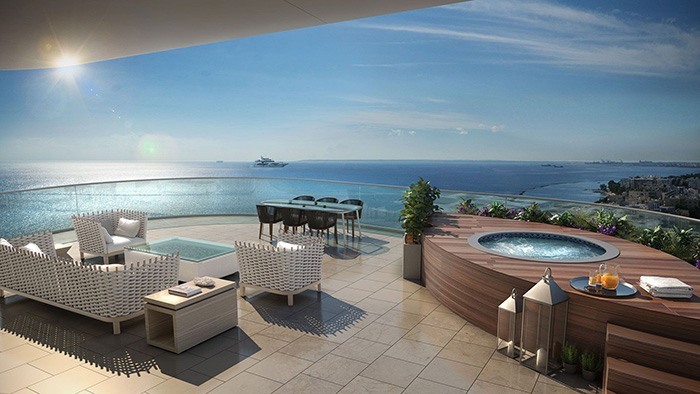 Each apartment features an uninterrupted view of the sea from a spacious veranda. Full height glazing seamlessly merges the interior with the exterior, adding to the immense sense of space. 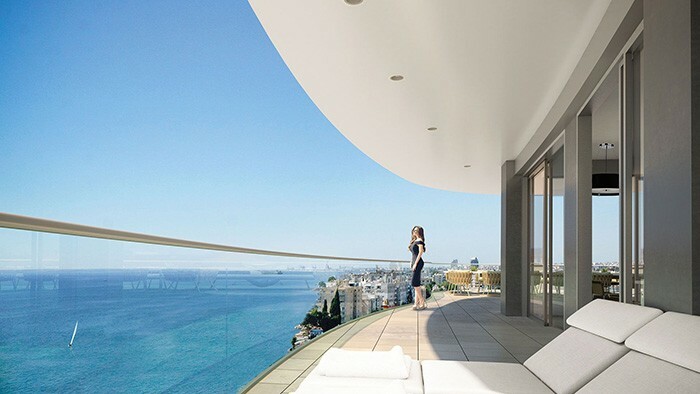 Directly connecting to the elemental, the flowing facade of Limassol Del Mar creates wonderfully fluid outside spaces, allowing residents to experience the blurring of boundaries between inside and outside – one of the hallmarks of Mediterranean life. The project in total will host 204 units. 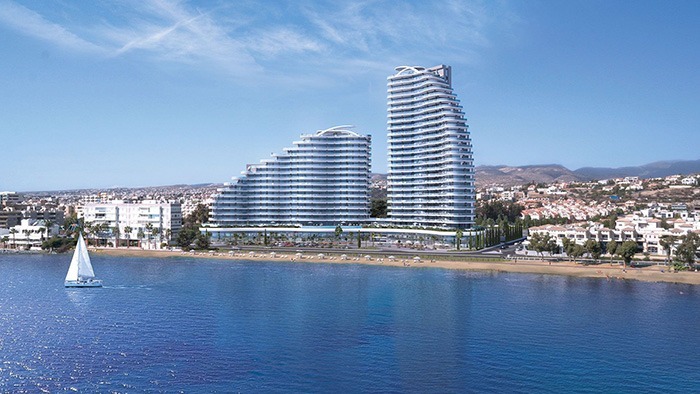 Limassol Del Mar is planned as a two-stage project comprising 2 buildings, which are due in late 2019, and the third building due in late 2020. Limassol Del Mar exclusively presents an experience of international standards to each and every resident. Limassol Del Mar is ideally located in the South East of Limassol just 35 minutes from two international airports, in the heart of an area renowned for its luxurious residential developments and the most exclusive properties in Limassol. Limassol Del Mar will be surrounded by beautiful, lush landscaping, and will have extensive parking available, including allocated parking for residents. Literally, at your doorstep lie vast expanses of pristine and unspoiled sandy beaches that make Limassol Del Mar such a highly prized destination for those seeking the ultimate beachfront living.